Part of my skin care regimen is protecting myself from the sun, with wide-brimmed hats, sunglasses and loads of sunscreen. My husband, though consistent in applying products, has yet to learn the “protect yourself from the sun” part, as you can see. My husband may not be a father, but if he were, I know what we’d get him for Father’s Day: lots of skin care. Now, you have to understand, my husband is pretty good about his skin care regimen, considering he’s a guy’s guy, but it took him a while to get there. I’d say he probably started about five or so years ago, when he noticed some serious nasolabial lines on his face. I gave him some retinol products and sunscreen, and after a tentative start (“Why are they still there?” he demanded after, like, two weeks), he became pretty consistent in his regimen, adding a serum, inquiring about ingredients, and even patting in his products like I do. Scent is a big no-no. If it’s too flowery or “girly,” he won’t use it. Uncomplicated is key. A product has to be easy to use, without too many steps or a special method of application. A multi-tasker, like a moisturizer with sunscreen, is a big plus. 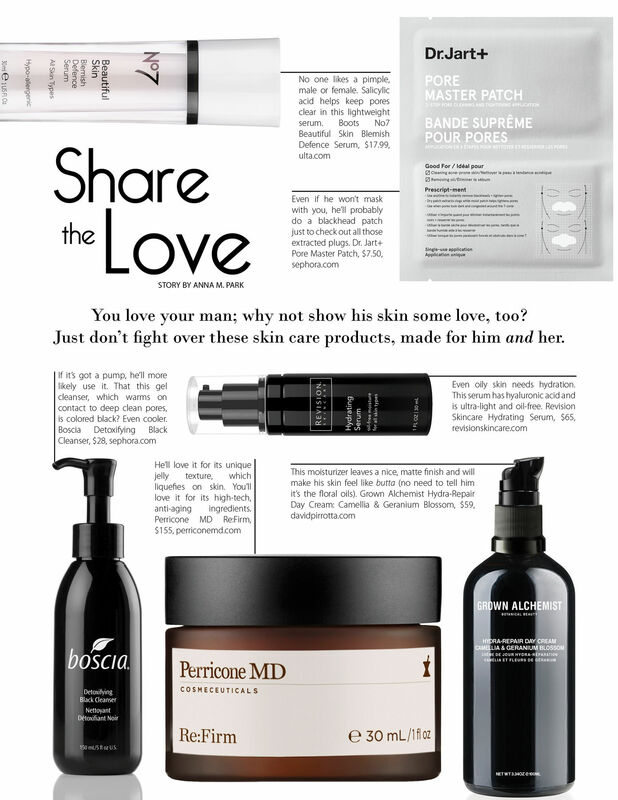 And with beauty companies recognizing that products and services for men are one of the fastest growing segments of the beauty industry, I’m seeing more and more skin care products that can easily be shared by him and her. So if you’re looking to get the man in your life some “mampering” products for Father’s Day (and want to make sure you can use it, too), check out these brands that’ll not only impress you with their ingredients and formulations, but sit proudly on his bathroom counter. Originally published in Composure Magazine. Are You Making These 4 Skin Care Mistakes?